Spanish painter Pablo Picasso lived from 1881 to 1973. During his lifetime, he created many famous works, including the Three Musicians, painted in the summer of 1921. The Three Musicians is a nod to bohemian life, depicting a clarinet player, a guitarist and a singing monk on a small stage, with a dog, barely visible, beneath their feet. The work was painted in the style of synthetic cubism, creating an overlapping, puzzle-like depiction of the three characters. The musician on the left side of the painting is a masked Pierrot, a classic figure often used in Italian comic theater. He plays a simple looking clarinet. The Pierrot is a recurring figure in Picasso’s paintings. The figure in this piece is thought to be Picasso’s friend Guillaume Apollinaire, who was deceased by the time the painting made its debut. The musician at the middle of the painting dons the brightest garb, bringing light to the center of the piece. The figure is that of a harlequin strumming a guitar. The harlequin is another recurring figure in Picasso’s work, and also classic to the Italian stage. In his paintings, this figure is thought to be a depiction of Picasso himself. The musician on the right is a monk, holding sheet music and singing. He is thought to be a depiction of Max Jacob, a poet and friend of Picasso, who happened to enter a Benedictine monastery the same year that Picasso created the painting. Often overlooked at first glance, a dog is depicted, sitting on stage with the three musicians. The tail of the dog sits in between the legs of the musician at the middle of the painting, his head, ears and front paws are next to the side of the musician on the left. Painted all in black, the dog adds to overall somber mood of the painting, with its flat and dark edges. Lasting for 15 years, cubism evolved through three stages, analytical, curvilinear and synthetic.Although Picasso tried his hand at all three, the Three Musicians is thought to be his farewell to synthetic cubism, which is made up of flat, overlapping, geometrical shapes. 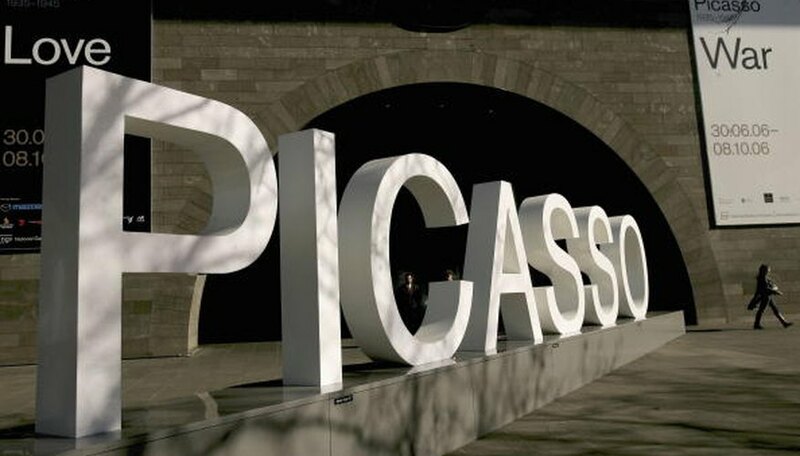 The painting gives the appearance that it is made from cut pieces of paper and fabric; however Picasso created the working using oil paints on canvass. Picasso had already experienced fame in the summer of 1921 after illustrating books, developing sets for operas and ballets, and working with writers and performance artists. He rented a villa just outside of Paris, in a chateau town called Fontainebleau. The town was renowned for paintings in the grand French style, making his cubism fall in stark contrast. He turned the villa’s garage into an art studio where he painted and completed the Three Musicians. What Type of Art Did Van Gogh Paint?